An extraordinary opportunity for our community to come together and talk about racism as it relates to each of us and the role we might play in the problem.  A coalition of local organizations and schools in Blaine County have come together to bring you an opportunity to join a very important discussion. This is a free event. 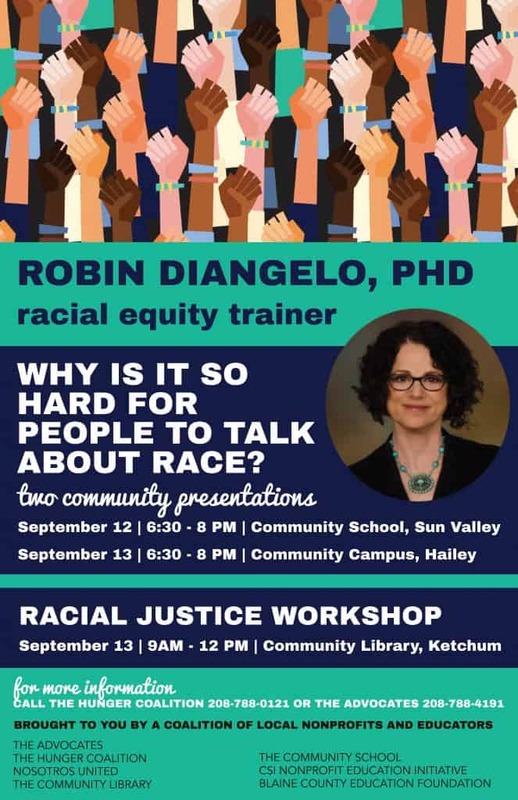 Robin DiAngelo, PhD is a former Associate Professor of Education with her scholarship in white racial identity and race relations. Robin has extensive experience as a workplace consultant in issues of race relations and racial justice. She has numerous publications and books including, What Does it Mean to be White? : Developing White Racial Literacy. Her work on white fragility has influenced the national dialogue on race and been featured in Salon, NPR, PBS, The New York Times, The Atlantic, Slate and Colorlines. Why is it so hard for people to talk about race? What does it mean to be white in a society that proclaims race meaningless yet is deeply divided by race? I will describe the way race shapes the lives of White people, explain what makes racism so hard for White people to see, and identify common White racial patterns that prevent us from moving towards greater racial equity. Weaving information, analysis, stories, images, and familiar examples, I provide the framework needed to develop white racial literacy. 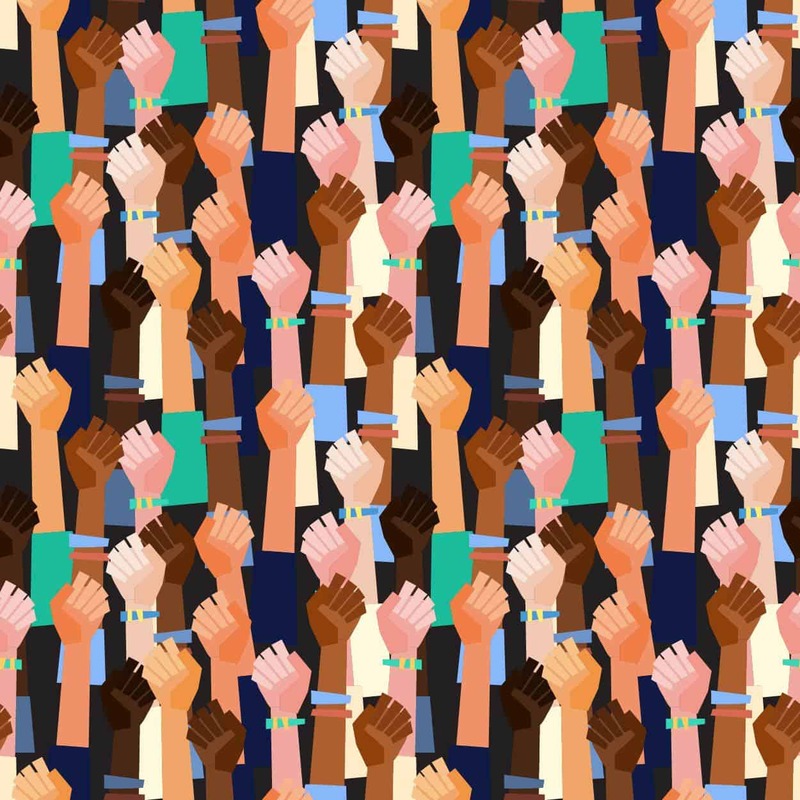 Although the focus is on white racial identity development, people of color may also find the analysis valuable as it is one that is rarely affirmed or provided in mainstream society. Robin’s presentation will provide an essential foundation for building racial literacy. My race-relations sessions take an anti-racist approach. An anti-racist approach includes: acknowledging and challenging the historic and current power differentials between people of color and white people, addressing the patterns that develop due to the dynamics of internalized racism and internalized dominance, building processes and norms that are designed to be vigilant about these patterns. I make sure to: (1) set a constructive climate for learning through role-modeling and use of self, (2) take into account the groups’ diversity and how that diversity impacts the group’s dynamics, (3) balance the intellectual with the emotional components of learning, and (4) make learning resources available. In addition to content knowledge, my expertise is in presenting information that is difficult or emotionally charged clearly and accessibly. My primary goal is always to deepen skills and relationships among team members and between social groups. Understand the basic dynamics of current race relations in the U.S.